In 1933, Fred Rolland and Jim Drye opened a small furniture shop on the bustling high street of Enfield, North London. It was the depression, and the small furniture workshops of Hoxton, Shoreditch, Bethnal Green and Hackney were beginning to notice a decline in trade. Fred, who was having to work reduced hours in these small workshops as a result, decided that with a shop of his own, he could ply his trade polishing and repairing furniture and maybe introduce some pieces to sell. He convinced his friend Jim Drye that the risk would be worthwhile, and Jim was able to borrow just over £100 from his aunt to provide a deposit to lease the shop. They enjoyed working together, although it soon became clear that the shop could not provide a living wage for two. Jim left the business on amicable terms after just over a year and went on to become a very successful shipping agent in the city. When the Second World War came in September 1939, the shop had to close as Fred was required to work on the local railways, replacing lines that had been bombed during the night and generally helping to keep the trains running. The post-war era was also a difficult time for the furniture trade as all furniture was rationed. This meant that coupons were given to replace furniture that had been lost due to bombing, which severely restricted furniture sales. Furthermore, the furniture factories had all been involved in the war effort, so it took some time to turn them around to producing domestic furniture again but by the 1950s furniture was off ration and the boom in furniture sales began. In the following decade, Ken Rolland (Fred’s son) joined Furncrafts after an apprenticeship in furniture design and construction in 1966 although, having been brought up around the family business shop, he was involved from a much earlier age. In the 1980s, Ken took full control of the business, though Fred worked at Furncrafts every day until his death in 2001 aged 96. 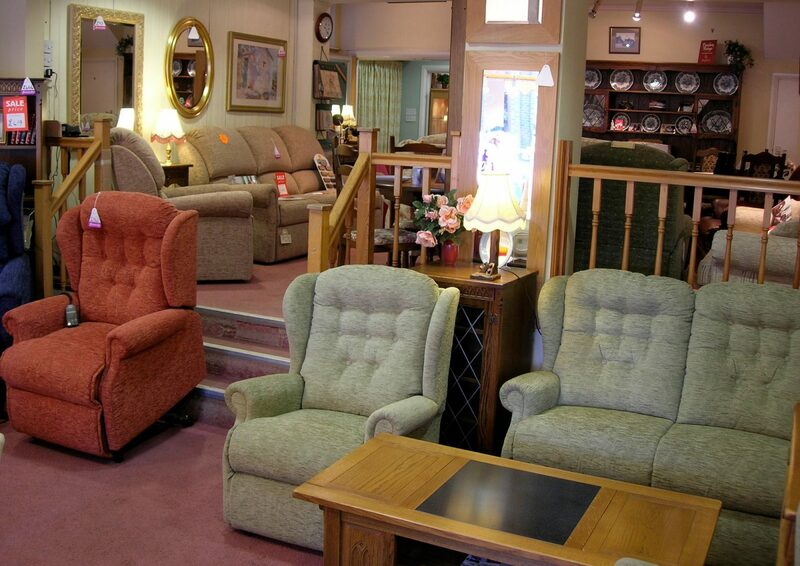 After over eighty years of trading the business is still supplying furniture to Enfield, the surrounding areas of north London and even south of the Thames on occasion. Today, the business has evolved to become a specialist in electric riser/recliners which are supplied by express delivery with a home viewing service for disabled customers. Furncrafts stock an extensive range of sitting room chairs with different seat heights and designs as well as a range of natural oak furniture. Furncrafts remains a small, independent family business providing the type of customer service that is becoming less and less common today. In an era where high streets are in dramatic decline, businessmen like Ken should be commended for providing a unique and individual style of furniture and a personal level of customer service in the face of high-volume corporate competitors. It is an experience that will be missed when it’s gone.